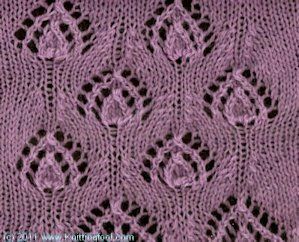 This is a stitch that I have always wanted to use in lace. It's large and imposing and has an amazing name, "Candle of Glory." The name itself suggests ceremony - candle light parades, vigil lights lit in honour of someone, special festive times, when candles cast a magical light. In many faiths candles are the equivalent of prayers. The heat of their burning wicks, like your most passionate hopes and dreams, drift up to the gods to be received. I don't have any pictures of candles - I will make a point of taking pictures of candelabra. 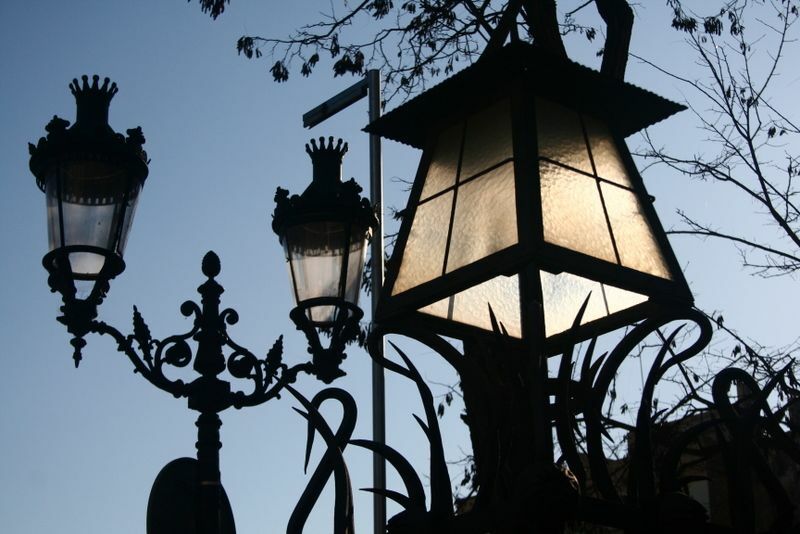 I do have some pictures of rather impressive outdoor lights that may have been gaslights at one time. I hope that they will do. This picture was taken outside of Park Guell in Barcelona. It's ornate like the stitch and suggests a "Grand" entrance. Here's another, also from Barcelona.